Pinterest really has been a savior when it comes to finding new recipes to try with my family. Specially, recipes that work well for busy night AND picky kids. My golden pick? 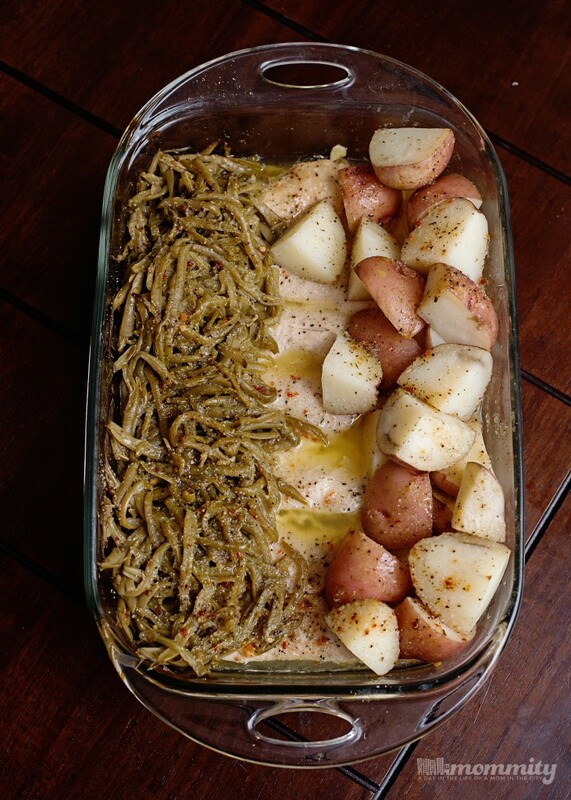 This green bean, chicken, potato casserole made with good seasons seasoning. We are talking less than a 5 minute prep time, an hour in the oven and voila. Super easy dinner that isn’t too hard to make! To make this dish, all you need is a package of boneless and skinless chicken breasts or tenders. Red new potatoes are my favorite flavor for the potatoes in this dish, but you could really use any kind that you prefer. The green beans are just two cans of green beans or you can use an entirely different vegetable here. Lay the chicken down the middle of your dish, then lay the potatoes on one side of the chicken and the green beans on the other. Sprinkle the entire package of good seasons italian seasoning mix across the top, pour the butter on top and cook in the oven. 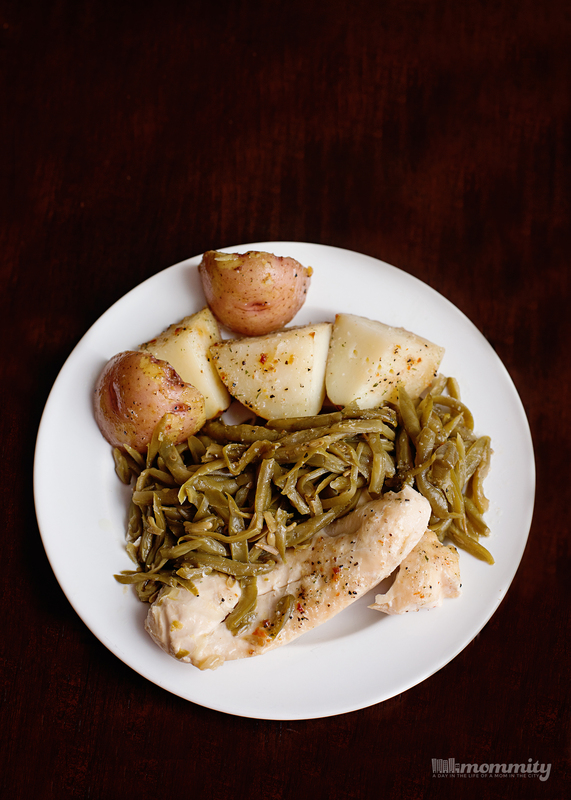 Organize your chicken, green beans and potatoes in a 9X13 casserole dish. Sprinkle your packet of Italian Dressing mix over the entire dish. Then melt your butter in the microwave and pour it over everything. Cover with aluminum foil and cook for 1 hour. Pingback:10 of the BEST Baked Chicken Recipes!